Complete meals for less than $5? Yes, it can be done. Many of us are looking for ways to feed our families for less and we have found many different meals that you can prepare, all of which will cost you less than five bucks. There are actually many meals that you can prepare that are relatively cheap. 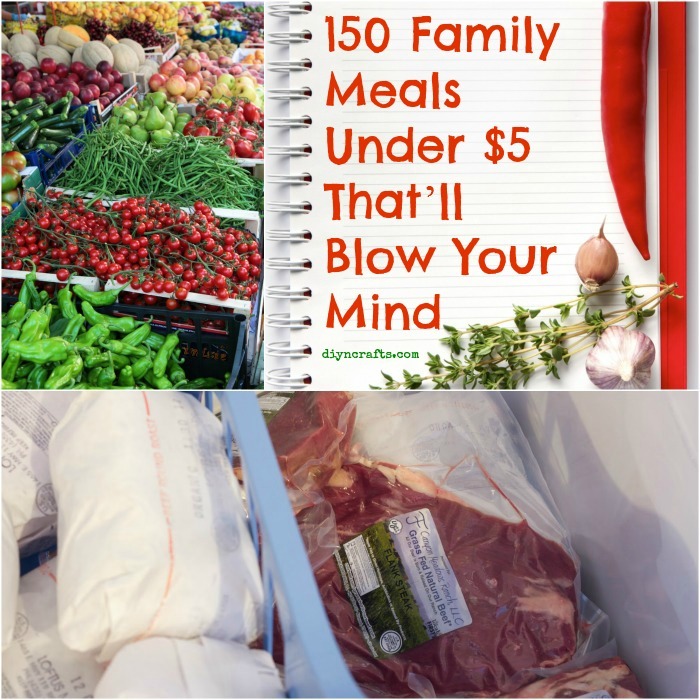 Mommysavers community has a 31 page long forum thread where they share the cheapest recipes. From goulash to spaghetti and many other foods, there are meals that will not break your budget. You can feed your family healthy dishes that contain meats for protein and even fruits and vegetables, you just have to know what recipes are cheap to prepare. You may have your own favorite meals for under $5 and if so, we’d love to hear them. If you are looking for a way to stock up on groceries for winter or you just want to take a bit off that grocery bill each week, these recipes and meal ideas are certainly going to help you to prepare healthy and delicious foods for your family without spending your entire paycheck at the grocery store. Whether your kids love healthy foods or prefer junk foods from time to time, there are recipes here that will suit every taste so you can save money on your grocery bill even if you have the pickiest eaters in the world. Take a look and find a few favorites. They may just be worth saving for future use so when you are in a pinch, you can look through and find meals that your family will love and your wallet will appreciate. Lovely photos from Paleonutritionnotes. These are horrible! Tons of gravy, cheese, bleached flour, yuk! How about economical AND healthy? ?